For many months of the year, your electricity cost may be a burden on your budget. Phoenix summers are unrelentingly hot and long, and energy bills skyrocket. It is possible to trim the bills associated with keeping your home comfortable by using major appliances wisely. You’re away during the day. The home is well-insulated and has energy efficient windows. You have an electric water heater or a pool pump you can put on a timer. Use a programmable thermostat to control temperatures if your home isn’t occupied on a routine daily schedule. Check the air filter for your HVAC system monthly. Nothing drives up the electricity cost faster than a dirty filter. The dust that builds on it slows down the air flowing through the air handler. As a result, it takes longer for the A/C to heat or cool your home. Have your HVAC system serviced at least once a year. The HVAC professional will clean and adjust the parts to bring them back to factory standards as much as possible. Keep an eye out for ductwork leaks. Leaking ducts drive up its electrical cost quickly since they waste some of the air you’ve paid to condition. Keep the outdoor condenser clean and leave a three-foot boundary around it for ample airflow. Draining a few quarts of water from the bottom of the tank twice a year to flush sediment. Turning the temperature down to 120 degrees F.
Skim the leaves out of the pool and sweep it manually. Replace an old pump with an Energy Star device to significantly lower your electricity cost. Put off clothes drying until sunset or early in the morning. A clothes dryer puts plenty of heat into the home during the summer. Clean the lint filter after each use. If you use dryer sheets, scrub the filter frequently to prevent a residual buildup that blocks the airflow through the filter. Break out the slow cooker for homemade, healthy meals as the outdoor temperature climbs. If it’s safe and secure, place it on a patio table to cut even more electricity cost. The heat will stay outside and won’t warm the kitchen. Keep the refrigerator and freezer reasonably full. A full refrigerator stays colder than an empty one. If you need to fill it, store items like water, flour, oatmeal, or sugar inside it. Run full loads in the dishwasher and use the air dry setting. Take a walk through the house looking for outdated light bulbs and change them to LEDs. Besides lowering your electricity cost, these bulbs emit less heat than incandescent bulbs, which lowers cooling bills. 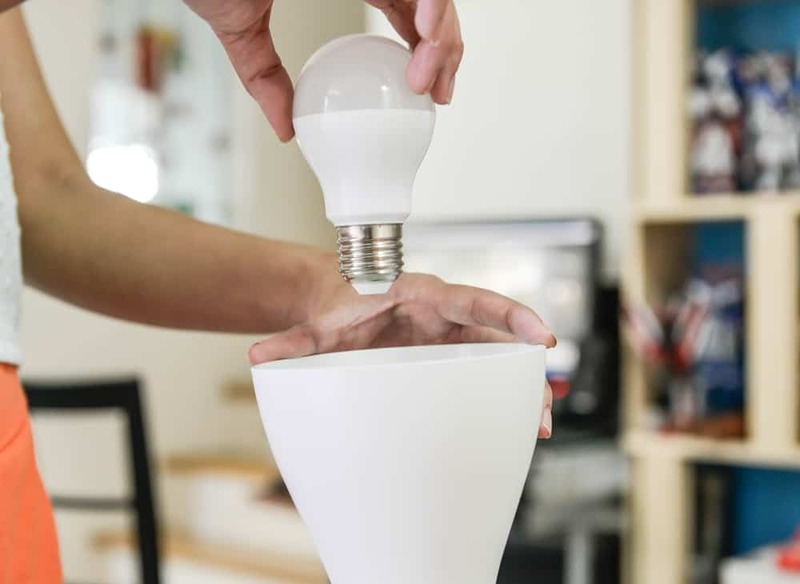 If you want the greatest energy savings, ask Turn It On Electric to show you how you can use LED lighting with smart technology to cut energy use. Contact Turn It On Electric for help lowering your electricity cost without having to sacrifice home comfort or conveniences today.